Coming into a windfall is a great thing. 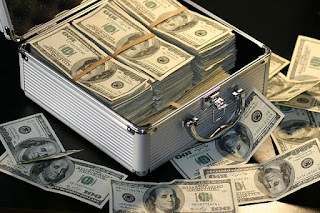 Money is everything in this day and age, and even those who don’t place too much value in the material world can increase the quality of their life with a decent windfall. However, some people get lost. They don’t know what to do with it. Of course one of the first instincts is to spend it, and that’s fair enough. Perhaps a few hundred here or there, but the main bulk should be kept back for something special. Perhaps it could be your retirement fund, or maybe you want to invest it to look after your finances. There are a few things you can do with it. This article can help you make the right decision, or at least present a few viable options for you to use at a later date. Some people may say this is the boring route. Others will likely think it the right one to take. You can invest the money into other ventures, further increasing your worth. You need money to make money, so the saying goes. You could invest the money in property. When looking for houses for sale be sure to consider their surrounding area and such like. Remember, the research is everything. If you wanted something with less hassle consider certificate of deposit or investing in gold. All the options are there for you but as a beginner investor it is probably better for you to stick to the safer routes or risk your new found capital. This is a key move to make and could make your life happier and easier. Whatever is left on your mortgage may need to be paid off. Do it. It frees up a nice chunk of cash for you to use each month. It may seem like wasting the windfall, but doing this is the sensible move. All debt should be paid off before all else. If you are paying for your car on finance then the same rule applies. Get rid of it. Think of the money you could save each month. You’d clear your credit score too. This is a form of investment, yet not just a monetary investment but also an investment in your life. You can build an extension, meaning you have a bigger home with far more space. You could have nicer bedrooms, an additional living room, or maybe a conservatory. However you think about it whatever you do is improving your life while increasing the value of the home so you win on two counts. If you didn’t want anything major done you could simply revenovate. Get a new bathroom or kitchen. However you swing it it will make your home a nicer place so should certainly be considered.